Last weekend we witnessed a great boxing spectacle in the form of George Groves vs Chris Eubank Junior. The fight itself was good, but the event itself was one of the biggest that we have seen in Britain in recent years. Outside of the Twittersphere of boxing fans that bout solidified the World Boxing Super Series (WBSS) as one of the standout ‘innovations’ in boxing in recent memory. The Cruiserweight bouts might have been blessed with the better fights, but they didn’t capture the imagination of wider sporting fans. The Groves vs Eubank fight was a media frenzy and one of the most anticipated sporting events in recent memory. Partly down to the reputation of Chris Eubank Junior, but more so the circus that surrounds Chris Eubank Senior and his new-found sheriffs badge. Could the fight have happened without a tournament format? Probably not. Boxing has a chequered history of creating endless amounts of hurdles to stop pay-per-view fights happening. By all accounts the WBSS has been a success. A success that hasn’t hinged on governing bodies, weight classes or fighters, but a tournament that has brought a schedule to top level boxing (barring injuries), high level production values and a promise of a politics free match-ups. Oscar De La Hoya once said: “There is always space for improvement, no matter how long you've been in the business." Like most things the first iterations can always be improved upon. The following improvements could help solidify the Muhammed Ali Trophy as boxing’s Holy Grail. When the WBSS was initially announced there was a lot of scepticism surrounding the concept. 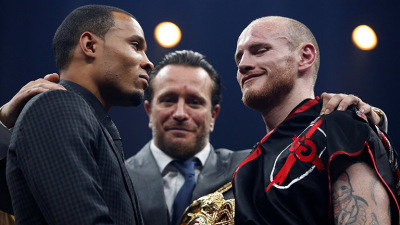 Boxing doesn’t have a great track record for delivering on its promises, therefore where Kalle Sauerland went cap in hand across global broadcasters to sell an untested concept, understandably the response was muted at best. Fast forward six months and now it’s likely that Barney Francis at Sky, BT Sports and US Broadcasters have some regret on not spending some of their boxing budget on the WBSS. If promoted correctly on the UK platforms, Groves vs Eubank fight could have been a box office hit. The more established boxing broadcasters have a better track record building content to drive pay-per-view sales. One option for the next series the WBSS is to consider selling the rights for individual fights or rounds in the tournament to key markets. This would allow broadcasters to pick and choose rounds, however it would be slightly uncharacteristic to have any tournament running on different channels. 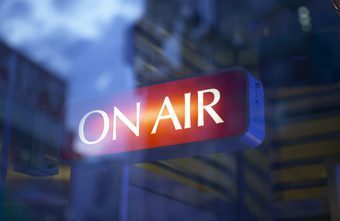 In any case the conversations with broadcasters should be easier as there is now a track record for the product and pay-per-view sales to back-up the event. The talk around the weight divisions for the next event has already started. 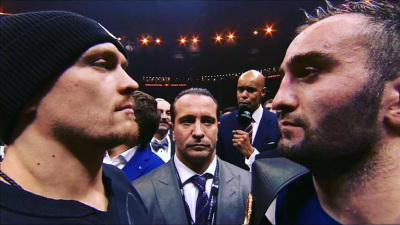 Kalle Sauerland, the Head of boxing for the series, has indicated that the likeliest divisions are the Bantamweights, Lightweights and Light Heavyweights. In terms of divisions the Bantamweights and Lightweights would certainly feature two to three British fighters in each weight class. Both divisions would provide some potentially great match-ups, however like the Cruiserweights they will only capture the hard-core boxing fans imaginations. Neither division has fighters with the star power to make pay-per-view fights. The Light Heavyweights is arguably one of boxing’s most competitive divisions. If the tournament can entice Sergey Kovalev and the winner of Adonis Stevenson vs Badou Jack to enter the tournament it could produce a pound-for-pound worthy contest, however with the involvement of HBO with Kovalev and Al Haymon’s involvement with Badou Jack and Adonis Stevenson I don’t see any of these fighters joining. Without the top fighters we are faced with a similar situation as the current Super Middleweight tournament, which by many accounts lacks some of the biggest names in the division (James DeGale, David Benavidez, Gilberto Ramizer and the Dirrell brothers). This isn’t an easy conundrum to solve as not everyone likes to play nice in boxing, particularly when it helps to build the reputation of other promoters. Picking the right weight divisions that have legitimate and recognisable fighters, where a majority of the top 10 fighters can make the tournament will be the key for the success of the tournament going forward. One trump card could be if the Sauerland’s managed to sign Tyson Fury. This would allow us to follow his comeback, whilst also enjoying the tournament. Perhaps that’s a pipedream of mine. One of the big failings of the tournament has been the lack of interest towards the WBSS by American broadcasters. Ultimately this has an impact on being able to attract the best American fighters for future series and making the tournament a global phenomenon. There aren’t many divisions, Bantamweights happens to be one, where you can match the best against the best without American fighters involved. The biggest hurdle in the US is that Al Haymon has always been reluctant to send his fighters on non-PBC shows. Furthermore, Top Rank needs to keep its top fighters on its bills to ensure that it obliges with their ESPN deal. One potential solution could be to partner with Top Rank and ESPN to ensure that their fighters (potentially Beltran and Lomachenko) take part in the Lightweight tournament and ESPN broadcasts the next series on US television. When George Groves dislocated his shoulder in the 12th round of the Eubank Junior fight, questions were raised on what happens if a winning fighter is injured. Until now the tournament has succeeded in ensuring that scheduled fights go ahead. Jürgen Braehmer has now pulled out of the Callum Smith fight, which means that the semi-final will be a one sided affair. If George Groves were to pull out of the final then the options would be to draft in Vincent Feigenbutz, Chris Eubank Jr or Zach Parker for the final. As a fan none of these options are particularly appealing. Furthermore, it would also undermine the tournament concept if a DeGale or Truax were drafted out of thin air as contestants for the final. For future tournaments perhaps it should be considered that a lucky loser and a tough competitor fight as the chief support for one of the semi-final bouts. In the Super Middleweight’s it could be a Jamie Cox vs Fedor Chudinov type contest that would act as chief support for Callum Smith’s fight. The winner would get to be the stand-in for an injured finalist. This would ensure that the fans would know the process and add another competitive fight to the tournament. There isn’t an endless amount of money in the pot to keep expensive substitutes, but a weak final only undermines the credibility of the tournament. The WBSS has been a breath of fresh air for us boxing fans. Long may it continue!